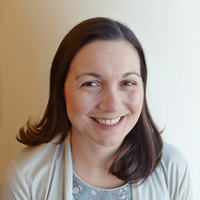 The PI for the Georgia Center is Sarah Tinker, PhD. Dr. Tinker focuses on collecting high-quality data from local study subjects. She works with those involved in the Georgia site to ensure that the study is running smoothly. She also analyzes data with a focus on using unique statistical methods. I am interested in using unique statistical methods in birth defects research. We need to use all of the tools available to make sure we are conducting the best research possible. Why do you study birth defects? Why do you think the NBDPS is important? My mother is a doctor who takes care of infants born with health problems, and she often takes care of babies born with birth defects. Through her experiences, I learned the devastating effect birth defects can have on infants and their families and the importance of preventing birth defects before they happen. In order to prevent birth defects we must know their causes, and I do not think there is any other study with more potential to do that than the NBDPS. As a mother of two, I know firsthand how hard it can be during pregnancy to figure out what is best for your baby. The NBDPS offers us the opportunity to provide parents-to-be with the information they need to reduce their risk of having a baby with a birth defect, and I find that really rewarding. If you weren’t an NBDPS researcher, what other profession would you have chosen? I considered practicing medicine, either as a doctor or a nurse, but if I’m really being honest I would be ski instructor.